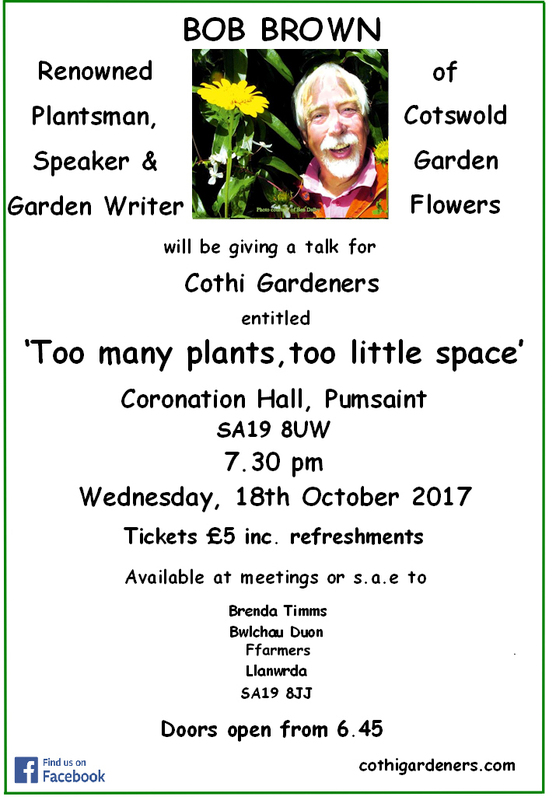 We would like to invite members of Cothi Gardeners to our Open Meeting on Wednesday 4th October at 7.30pm in the Red Dragon Hall. John Shipton of Shipton Bulbs will give a talk on “Plants of Western China”. Refreshments will be provided at the end of the meeting. Join us at beautiful Cae Blaen Dyffryn for the annual survey of the wild flowers and greater butterfly orchids at the reserve. With thousands of flowers to count, every pair of eyes is needed! You don’t need to be experienced in identifying wild flowers – just let us know and we’ll make sure someone can help you on the day. The morning will include a guided walk around the reserve to help you can get familiar with the wild flowers and orchids found there, and a survey activity to find out which plants we can spot. We also hope to set up a moth trap to learn more about the insects using the reserve (weather dependent). During lunch at a nearby school, you will have the opportunity to learn more about the annual survey, how we use the information to help us manage the reserve and what the results have shown in recent years. The afternoon will focus on counting the beautiful greater butterfly orchids found at the reserve. 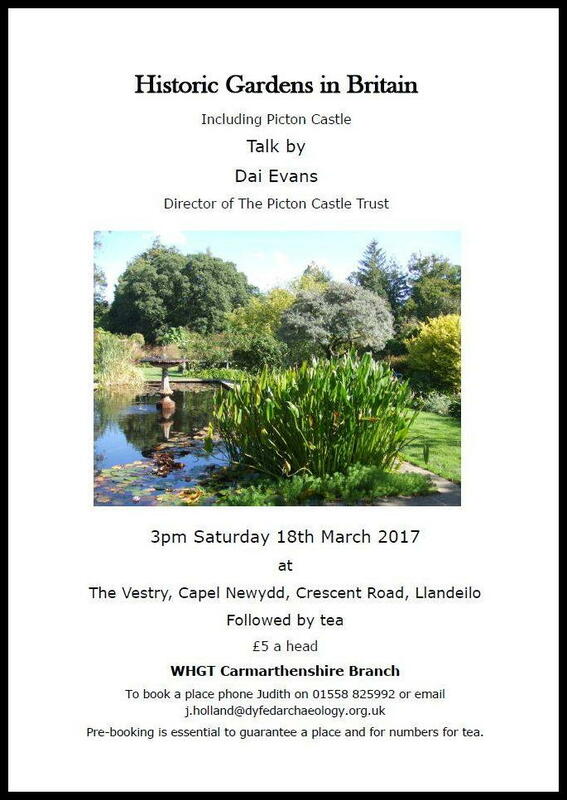 To book please email cymru@plantlife.org.uk or call 02920 376193. Further details will be sent following your booking. If you would like to come along but can only make the morning or afternoon just let us know. The club growing challenge this year is for members to grow something that they then incorporate into a dish that they bring to the meeting in August along with an example of what they have grown or photos if that is not practicable. Members can then share their ideas, successes or failures and sample the results. 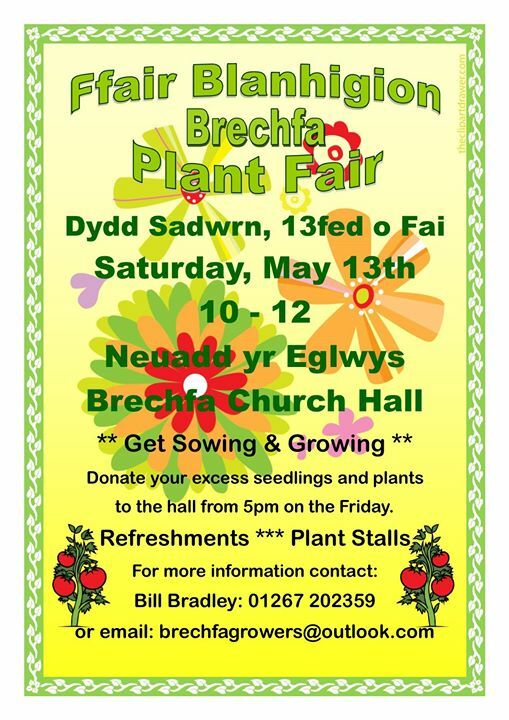 It is hoped to hold the event at Gelli Uchaf or, if the weather is bad, in the Coronation Hall as normal. Thank you to Brenda for the idea for this year’s challenge. We are planning an all day trip over the border on Wednesday May 24th to see two gardens that come highly recommended. The first is Westonbury Mill Water Garden (click here), entry £6 and the 2nd is Hergest Croft (click here) entry £6.50. The plan is to go by car and meet up at Westonbury Mill when it opens at 11 am and going on to Hergest Croft in the afternoon. Lunch can be had at one or the other – both have cafes. The timing should be excellent for Rhododendrons. Wildlife Centre, Walks, Hides, Cafe, Toilets all open – no parking fees! 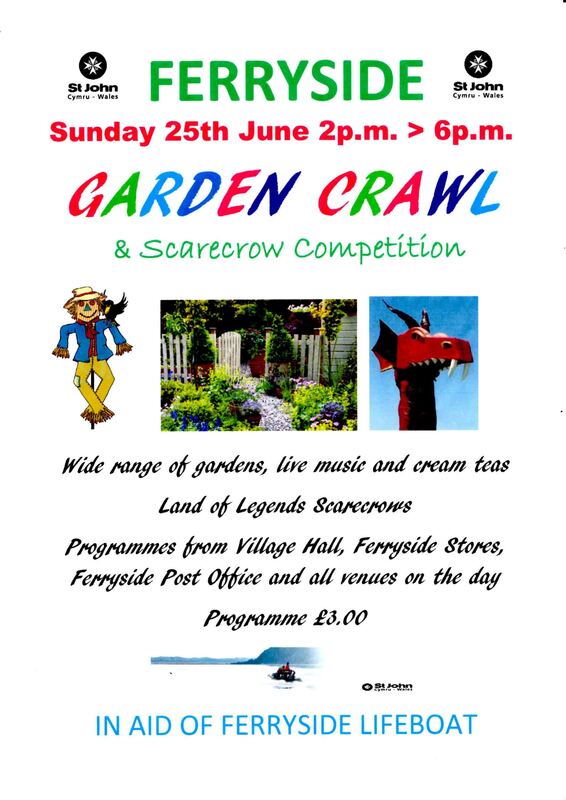 Talley Open Gardens Day is organised by the Talley Community Amenity Association. Private gardens, large and small, showing a wide range of design styles will be open to the public by kind permission of their owners. 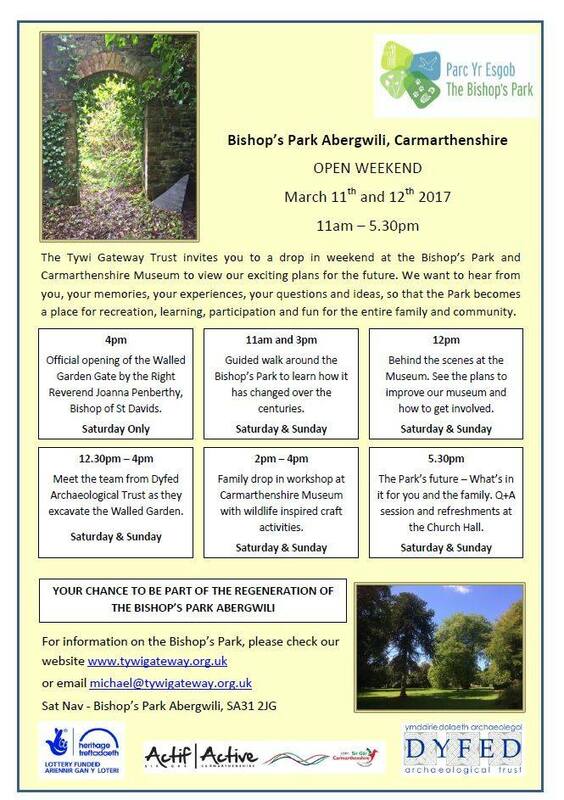 Both the Community Woodlands and the Church will be open to visitors. As well as the gardens, the village offers other attractions for the visitor, including the Community Woodlands, the Abbey ruins, the famous lakes, the old smithy and the ancient parish church with its unusual box pews. Light refreshments will be available during the day. Please note that some gardens have limited wheelchair access. All proceeds will be split between the Talley Community Amenity Association and St Michael and All Angels Church, Talley. 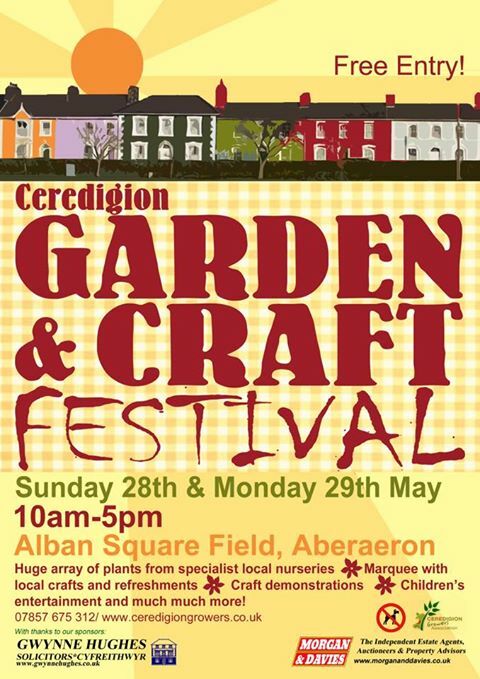 Plants will be on sale in some of the open gardens. £5.00, children under 14 free. 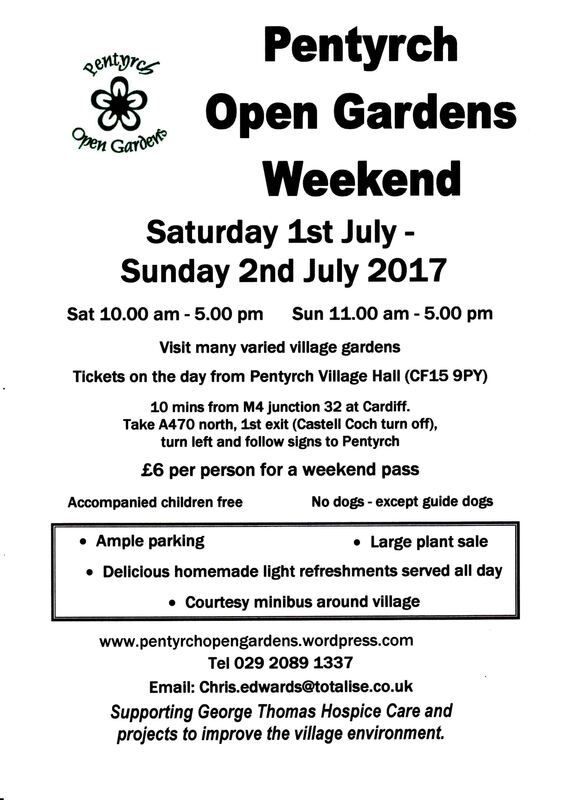 Tickets, including a map to locate the open gardens, can be purchased on the day from any open garden. All participating gardens will display a sign at their entrance. Talley is on the B4302 approximately 7 miles north of Llandeilo. Rhosygilwen Mansion, Rhos Hill Cardigan SA43 2TW. 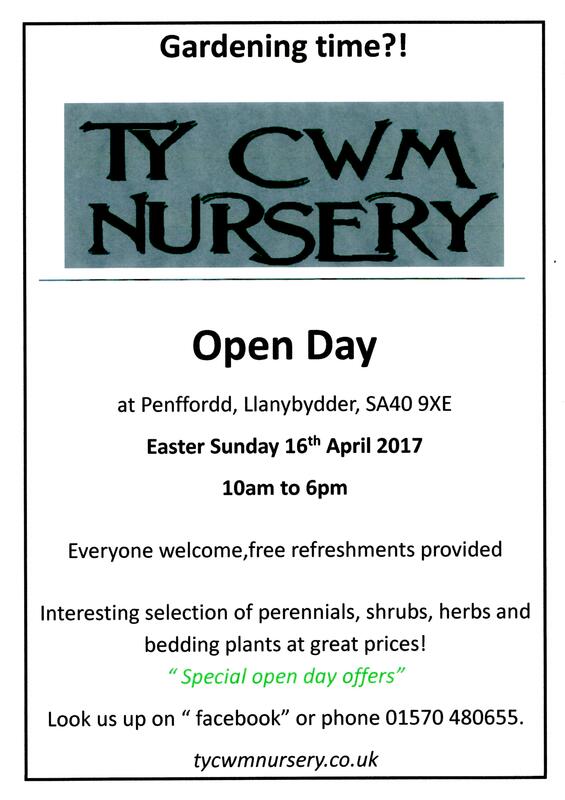 The following is taken from the Farmyard Nurseries website……..
Every Year as the days start to lengthen and plants start to grow we hold our annual event. Originally intended as a showcase for our spectacular hellebores it has gradually grown into a festival of all winter plants and much much more. The Tyssul Hall, in Llandysul (only 1 mile from the nursery) has been recently improved and is the ideal venue for our prestigious event. Unlike the cold wet weather outside this lovely heated venue defeats the elements in the heart of winter. Here you can spend three days being thoroughly entertained by our array of speakers whose talents are provided free of charge regularly throughout each day. 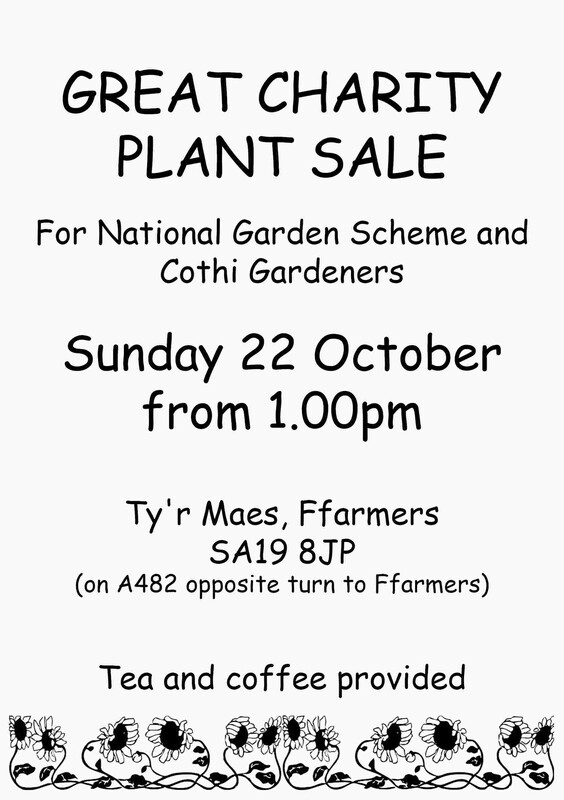 Tea and cakes or sandwiches are on tap, as well as a vast array of plants for sale to suit every taste. A small selection of other garden related stands are also there to whet your appetite. Coach parties are, as always, welcome. Please let us know if you’re coming ‘en masse’ so we can make sure that the tea and coffee – oh and the cakes – don’t run out on that day!!! A shuttle bus from the Tyssul hall to the nursery can be provided if required. This year we have some wonderful speakers, some old, some new. 10.40 – Richard Bramley – ‘Hellebores an addiction’. These winter flowering beauties take some beating. Learn how and where to grow them, how to propagate them and view the latest in Hellebore breeding. 13.00 – National Gardens. A lovely talk by national collection holder (Monardas) Carole Whittaker. She will give us an insight into Plant Heritage and the National Gardens Scheme. 10.40 – Malcolm Berry – ‘Weaving a web towards a natural garden’ Malcolm, king of all thimgs natural and organic will enthrall us with his ideas. 13.00 – Keith Brown and Richard Bramley. ‘Hellebores – a shared passion’. Come and enjoy Keith and Richard talking about their love of Hellebores. A talk not to be missed. Great to see Keith back! 15.15 – Richard Bramley – ‘Growing Roses in Wales’. A new talk explaining how to increase your chances of succeeding with these popular plants. We all love them so learn how to make the most of them. 13.00 – Botanic Gardens – ‘Butterflies, Bees and beyond’. Alice and Lucy will give us an informative talk of what is happening in the new Butterfly house at the NBGW and how to encourage insects into your garden. 15.15 – Ivor Mace – ‘Grow your own vegetables’. We are so pleased to welcome Ivor back to share his incredible knowledge of all things edible that can be grown in your garden.